ugh, I have literally been sick EVERY weekend since we've been back from New Brunswick. Without fail, Thursday evening or Friday morning I start to get the sore, tender throat, and by Saturday I am big giant bag of whole body, all over, everything hurts sickness. Then come Monday eve or Tuesday morning, things are pretty good and back to normal again. Speaking of alarms, the smoke detector in the condo next door to ours was going off this morning. Everyone on the floor was in the hallway- each of us totally unsure what to do. Finn had so much fun running around, peeking into everyone's open doors and smirking at all our neighbours. Finally after almost 2 hours, someone showed up from our property managers office with a key to the unit to unplug the alarm. Without confirming to any of us that there was nothing to worry about, they were gone as quickly as they arrived. In my moments of panic, I frantically took blurry iphone pictures of all our expensive things - computers, cameras and more cameras. We just got a new imac and I was having a hard time believing that our insurance company would buy that we have three computers (and an ipad), but no TV. It made me a little sad to think- if our house was on fire, what would I grab in that moment of panic? Yeah, expensive crap that I wouldn't want to fight the insurance company to replace. (Though, I did make myself feel mildly better by realizing that ALL of Finn's baby photos are on that expensive piece of crap, so really.... :)) I would also grab Finn's Ernie dolls. I love this video- After all this embarrassing computer talk, I should probably try this exact thing. My friend Chris is an amazing musician! Singer, songwriter, instrument player. In the 13 years we have known each other, he has accumulated a pretty remarkable discography. Never being without a band or side project, I have been lucky enough to get to hear just about everything along the way. This morning he sent me his latest gem, a project he has been working on since 2000 with collaborative input form many of his equally talented friends. 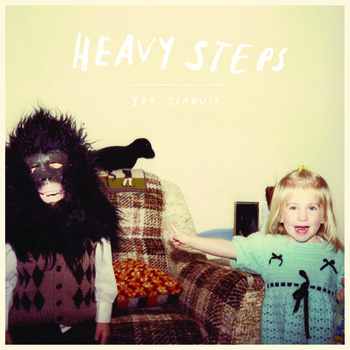 The band is called 'Heavy Steps' and the album, 'You Conduit', is simply perfect! I can honestly say this is one of the greatest collections of songs I have had the pleasure of listening to in quite some time. The dreamy vocals put a smile on your face, while the already beautiful mix of music being played is the perfect compliment to just about anything you have on the go. It just totally made my day, and hopefully will make yours! You can listen to the album free online or go HERE and for $5.00 you can download it to keep forever! I'm so looking forward to summer! Jeff and I really love art. Any and all kinds and especially when made by people we adore. Finn has a growing collection of drawings, paintings and photographs made for him throughout his life by talented friends and family. Each piece so thoughtful and a perfect treasure to display above Finn's crib for him to wake up and yammer about after each nap. The above drawing was made by Chad VanGaalen - a local singer, songwritter and artist. He is such a talented and nice guy with two young daughters of his own. Jeff has done a fair amount of photo work with him over the years, and received this drawing for Finn as a trade for something. We called Finn 'Panda' when he was growing in my belly, so my sentimental love of all things panda is still huge. This painting was a Christmas gift from Finn's BFF, Theo! He is a natural artist (with a super beautiful and creative mama!) This is definitely Finn's favourite piece. Jeff's Aunt Moe made this little train painting for Finn on our visit to New Brunswick last month. Finn obviously loves trains, and giggles with glee every time he sees this one. 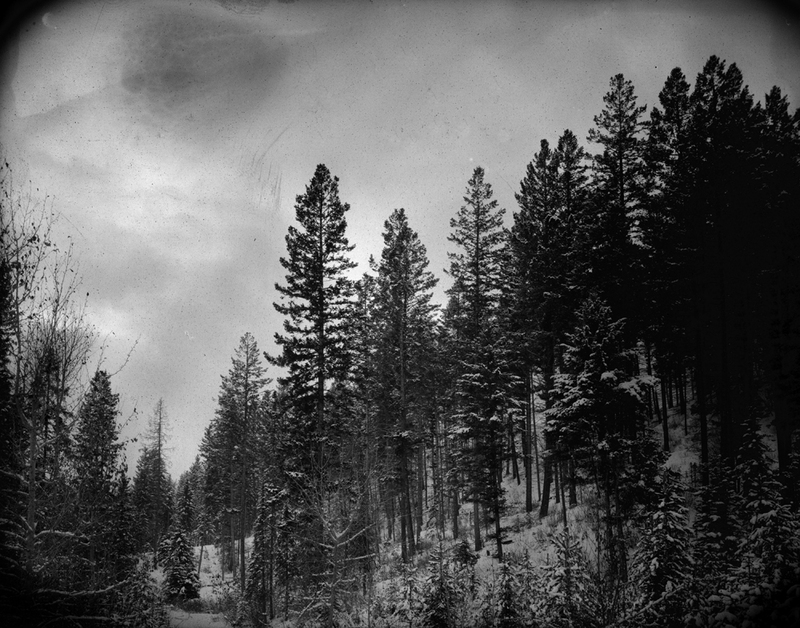 Lastly, this is photograph Jeff took on his 4"x5" camera. It's in Elkford, BC at my parents cabin and was shot while Finn was growing in my belly. It was the first thing we hung especially for Finn. Mondays off. I love having that extra day home from work to spend with Finn, just the two of us. Wild imaginations. Right now, Finn is rotating through three stations: sitting in his teepee talking to himself in a high pitched voice while doing puzzles, tap dancing on Jeff's old metal camera box, and crawling up on the couch to make the two glass owls kiss. This has been going on for about half an hour. A messy house. I woke up today stressing about it - about the little piles and boxes of homeless things that seem to endlessly find their way to every surface of our home, but I realized one thing. We live here. Like, we REALLY LIVE here! So yeah, the house gets messy- wouldn't it be weird if it didn't? So as much as I like things clean, tidy, organized- and sometimes it DOES actually look that way- I need to let go of feeling bad when it doesn't. It's just stuff and eventually it will get tidied up. He woke up this morning, and immediately put on a hat. Paula Blundell- She generously brought me along on one of her professional organizing jobs and I had the BEST time! 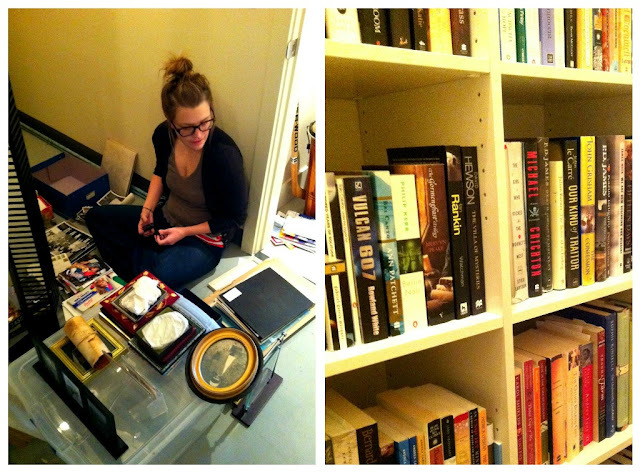 There is something so totally rewarding about organizing someone elses chaos. And getting paid for it?! Amazing! We make a great team, P! Sleep. Going to bed early, spending a little extra time snuggling during our lazy mornings. Sleep has felt so good lately! Resourceful friends. It seems whenever we have a dilemma that needs fixing or a project looking for guidance, we have a wealth of amazing, smart, talented, and skilled friends to draw from. Especially with planning our wedding- little things that can end up costing SO MUCH seem to all be covered by our talented friend base. We love ALL of you so much!! Sunny and warm Sundays. Finn and I are looking forward to a hot coffee (me) and a walk over to swing on the swings (Finn). Spring fever is starting to hit us hard! New pals! We have met a few really awesome people through somewhat unconventional means (like Instagram-) But there are seriously some amazing people out there!! Carli and family - you guys are so rad! 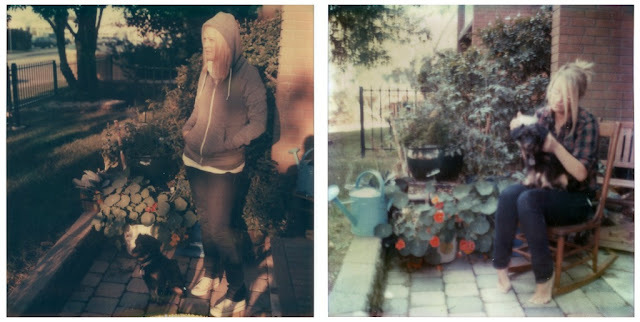 I feel like we have known each other forever and I love being inspired by every single blog post and picture. Your family is so wonderful and we are grateful everyday to have found you! Michelle, Dustan and your sweet little daughters- we are SO stoked on the birth of your newest little dumpling, Evie (and by the same midwives that delivered Finn! eeeep!) Your family is so in sync with ours and I really look forward to summertime bike rides, park plays, and picnics with our munchkins! Eeep! Sorry, I have been busy these last few days and slacking on my gratitude recording. I have definitely been sending it all out, just a little behind in writing it all down. Below- 4 days of things I am truly grateful for! Finn waking up and calling my name. He mixes it up and bit and sometimes yells for 'papa' but waking up to that little voice in other room shouting for me to come get him is the BEST way to start any day! Email. These last few days I have especially appreciated how wonderful it is to instantly send (and receive) love! Lauren's psychic reading- To have some reaffirming thoughts from an enlightened source is definitely making me smile! Fresh Air. One slow deep breath of it fixes just about anything. Day dreaming. I seriously love running away with thoughts of 'what-if'. My brain hasn't turned off and ideas are flowing endlessly these days. Our sweet little dog, Chapeau. Love radiates from this tiny creature. Growing baby bellies! I have one girlfriend ready to pop any day now and two that still have a few months to go, but being around little baby bellies is such a cool feeling! 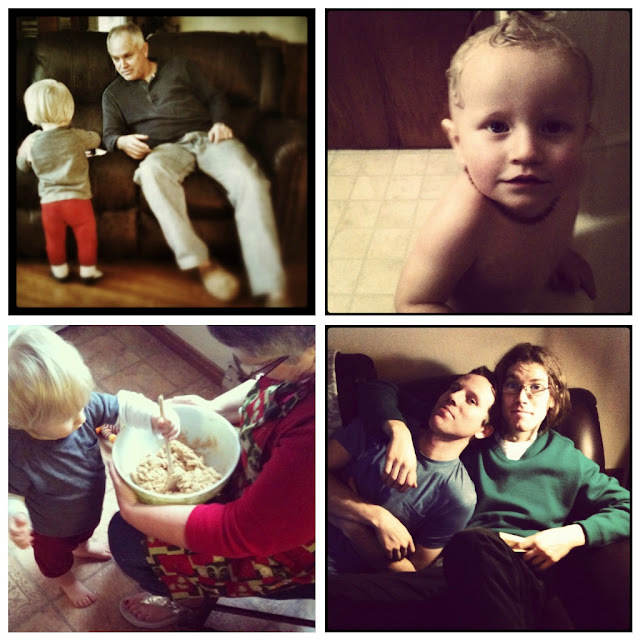 Touching, talking, waiting for kicks... all some of the most sweet moments of my day. Sore muscles- that feeling after trying REALLY hard to do 20 push-ups! So close! Wool socks. My feet have been especially chilly these last couple of days and something about a cozy pair of (Jeff's) wool socks is so perfectly comforting. Parents (all of them). They are so good to us. And tonight I'm especially grateful to my Mom and Step-dad for babysitting Finn while Jeff and I ate a delicious birthday meal! Belly laughs. Man Finn is ticklish! Meaningful conversations with good pals Skipping out of work a little early on a friday to grab a pint and catch up with some special ladies is the perfect start to the weekend. 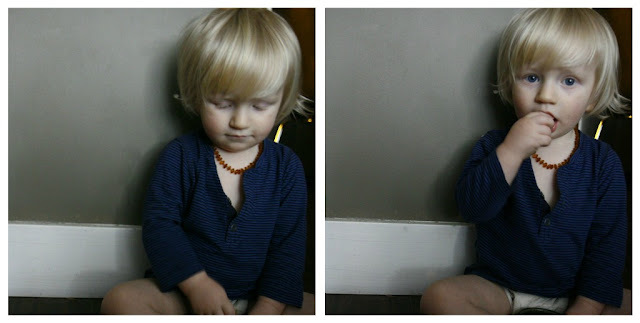 These photographs of Jeff as a baby that his mom just mailed to us. It is so neat to see how much Finn looks like him and how much Jeff looks like his Dad! Chocolate - cant seem to get enough of it this afternoon. Cuddles on the couch with my sweet boys. After a delicious meal and a mini dance party, nothing is nicer than reading stories and giggling with my darlings. Jeff being able to stay home with Finn. I am so thankful Finn gets to experience such a close connection with both of us. Jeff is beyond wonderful with him and Finn is so well adjusted and comfortable because of it. It makes me so happy to come home to stories and photographs of their every day adventures and mischief- Memories we will all cherish for a long long time. Kind and wonderful people. All around, really. We went to look at a hall to possibly have the wedding in, and the woman that met with us was just so genuinely kind. It's reassuring to have those small connections every now and then. Kisses from Finn. He loves giving them and is always very fair in his distribution- One for Mama, and right away, running off to give one to Papa too. Tears. Sometimes it just feels so good to cry. To release that pent up emotion, honour it, and move forward. Sunshiny 'winter' days. I am absolutely loving the spring-like weather that has filled our city for weeks on end. Summer shoes, light jackets and little strolls to rejuvenate on a beautiful February afternoon. I know it sounds kind of lame, but really, I am grateful we have access to a vehicle. We don't use it often, but on the days we do need it, I am really grateful we can. This morning we passed a mother at the bus stop with her young child in a stroller. I see them there most mornings as I wait with them for the bus to take me to work. It just made me think about how challenging getting around this huge city without a vehicle could be- especially with a toddler in tow. I have wanted to make Finn a tent since the day I found out he was growing in my belly, but have always been a bit nervous that it might be a project beyond my skill set and that it wouldn't turn out like the incredible tent I pictured in my head. 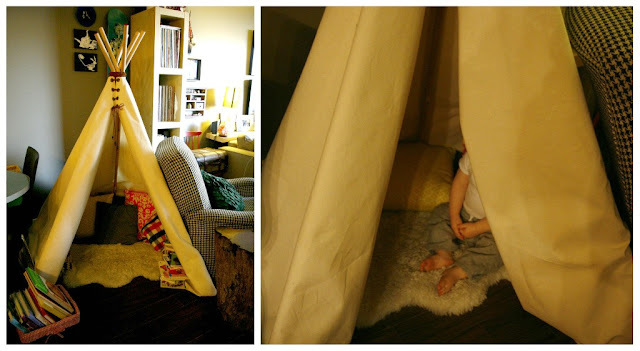 Last week, I came across a near PERFECT play tent tutorial - It is for a smaller tent (6 feet tall instead of the usual 8 feet- obviously important due to the (regularly talked about) lack of space we have). It was virtually a no sew project (always a bonus in my eyes), took very little time to make, and cost significantly less than the (beautiful) tents you see floating around etsy. I adapted the directions slightly and added a few little things to make it special for Finn, but below are simple instructions on how to make a perfect little tent. - Canvas- 3 meters long by 60" wide. - Leather rope or something similar to tie with- ribbon, jute or twine would all work - I used about 10 - 15 feet of it. - Things you want to dress up your tent with- beads, paint, feathers... whatever your imagination is envisioning. Step 1: Hold all 6 poles in one hand and wrap a small section of rope around them fairly tightly (I left about a foot of exposed pole at the top). Spread the poles out evenly- about 18-20" apart, leaving a larger opening where you want the entrance of the tent to be. Step 2: (See diagram below) Fold your fabric in half lengthways (it should be a square), then fold again on the diagonal in to a triangle. At the folded tip of the triangle draw a small half circle and cut away extra fabric. Draw the same shape on the bottom of the fabric and cut excess fabric away. Once unfolded, you should have a large half circle. Step 3: Drape the fabric over the tent poles and secure temporarily with excess rope. On the inside of the canvas, mark with a pencil where the poles meet the canvas (approximately 6 inches from the ground.) Take the fabric down and using strong thread or embroidery floss, sew small pieces of rope to the pencil marks to act as ties. 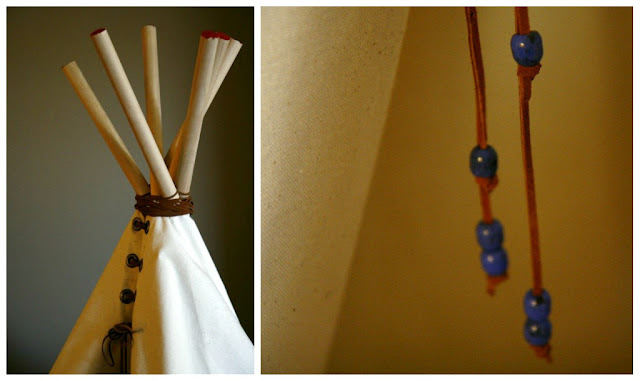 These will help hold the fabric in place when the teepee is standing and keep the poles from moving around too much. * If you wanted a completely no-sew alternative, you could use adhesive backed Velcro tabs in lieu of ties. Step 4: Measure out where your grommets will be- from the top of the canvas, measure down about an inch and mark with a pencil. From there, measure down about 2.5 inches and continue marking so you have space for 4 grommets on each side. Step 5: Drape the fabric over the tent poles again. Place the middle of your length of rope on the back of the tent and wrap several times around the top of the canvas tightly to secure it in place. From there, thread the remaining rope through your grommets and tie at the bottom. Readjust your poles if needed then tie your inside ties to the poles. * I used two pieces of rope the same length for this part to give the threading a really full look. Also, afterward I added several more feet of rope wrapped around the top of the tent to clean up some of the white canvas that was sticking out between the strands. I added blue glass beads to the ends of the ties hanging from the grommets and painted the very tops of the poles red just for a little bit of colour. 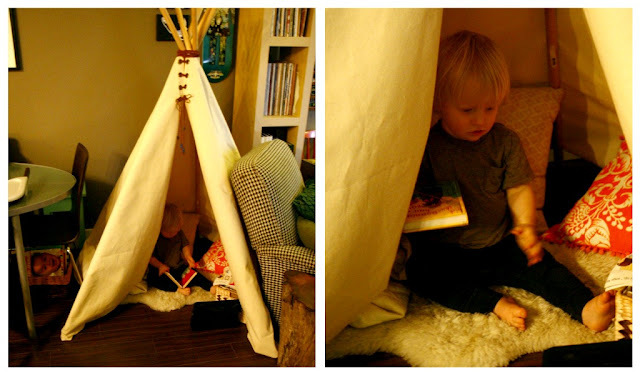 We used an old sheepskin rug and lots of throw pillows inside the tent and filled it with tons of Finn's favourite books to make it a cozy little nook for him to cuddle up inside or hideout when he wants to. Finn immediately loved it and has pretty much spent every waking moment inside it since last night. Success! Well, after two weeks in New Brunswick visiting Jeff's family (and a much enjoyed break from all things internet related), we are now back home. Definitely a bitter sweet feeling to be here. It was SO wonderful to get away! Our days were filled with a revolving door of visitors, delicious food, so much coffee and wonderful conversations. Jeff's mom and dad were beyond amazing- they got Finn up every morning, fed him almost every meal and spent endless hours playing, bathing, chasing and laughing with him- Jeff and I were given strict instructions to take advantage of our two week window of freedom, and we basked in every second of it! It has been a really a while since the two of us have been able to spend a good chunk of time together, and it was really nice to be able to reconnect, talk and enjoy little things like window shopping through downtown Fredericton, or sitting in a pub without a time limit or rush to get back. All in all, I am so thankful we were able to take this trip. It was so refreshing for our entire family and really incredible to see Finn connect so quickly and closely with his Nana, Grampy and Uncle Kyle. 1) I am ready and open to letting new things come into my life- I don't know what this means or looks like, but this is a really huge step for me. I am definitely one that avoids change, and often find myself very committed and involved with things that, after time, my heart is no longer in. I am putting it out there that I feel content and complete with the work I have accomplished on some of these projects and am content and open for new things to come along. Jeff and I are both excited at the endless possibilities for this new chapter in our lives. 2) I want to build a house. Not like - have a developer build a house for us, but actually get my hands dirty, spend years and years learning, constructing, building a home that we will live in, grow old in, and will have as little impact on the earth as possible. I also know it is very important to me that this space remain small. After living with Finn in our little condo for almost two years, I have really come to honour the closeness, both physically and emotionally, that a small space brings. I always want this for our family. 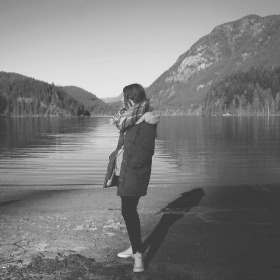 3) I am going to spend this year simplifying our lives. Focusing on decluttering, ruthlessly purging, buying less and cooking more, spending quality time doing things we love as a family, learning new skills and utilizing them, growing more food, paying off debt and adding to our 'rainy day' fund, riding my bike WAY more, and being more patient. Finding my balance and soaking up all the happiness and wonderful gifts I have sitting right in front of me. I especially look forward to this. I came across this TED talk on the last day of our trip. As my friend Jacquelene so perfectly put it, it's such a breath of fresh air- exactly what I needed after so much uncertainty and 'what-ifs'. Hopefully it will spark a little something for all of you too.